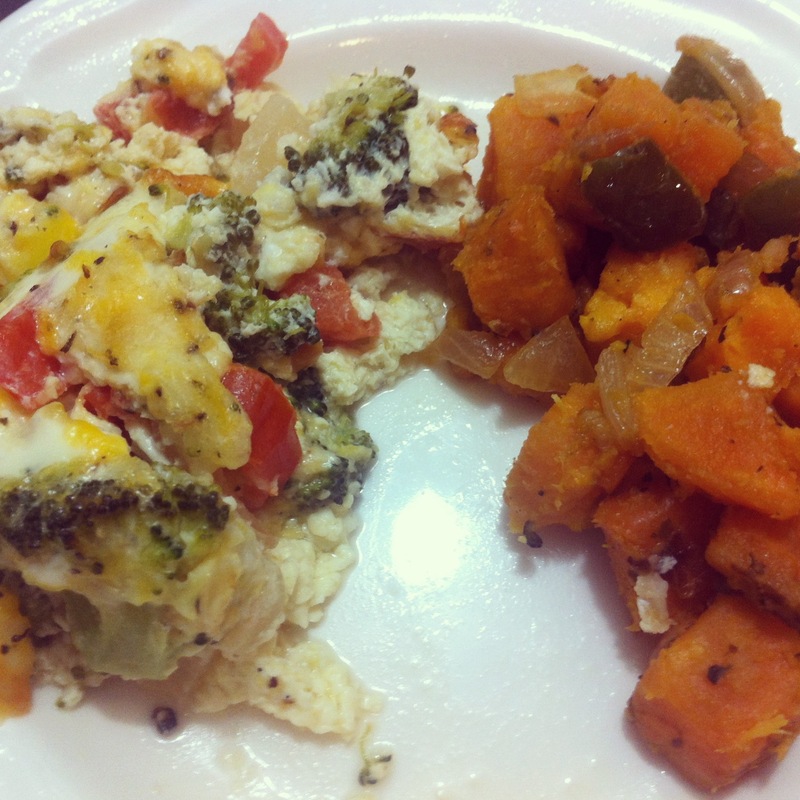 To accompany my quiche, I made a sweet potato “hash” recipe that I got from this blog. Super easy, but super tasty! This meal absolutely hit the spot and was a great, balanced meal to have around for the week! 2. 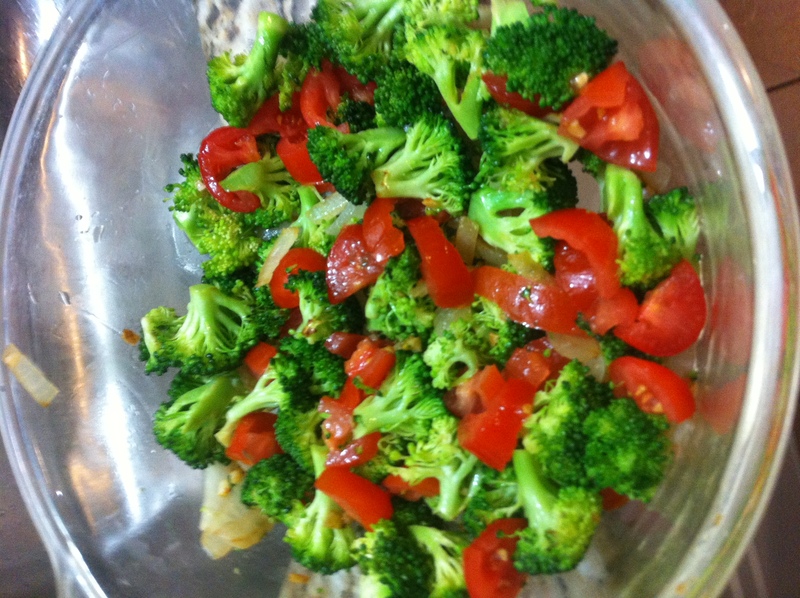 Chop onion, broccoli and tomato. Sauté until the onions are translucent. 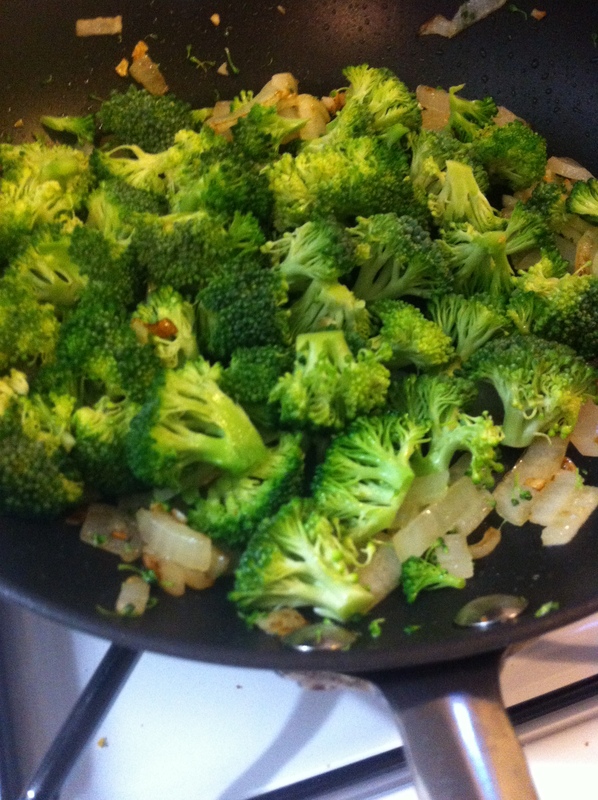 Add the broccoli in and cook until the broccoli is mostly cooked. 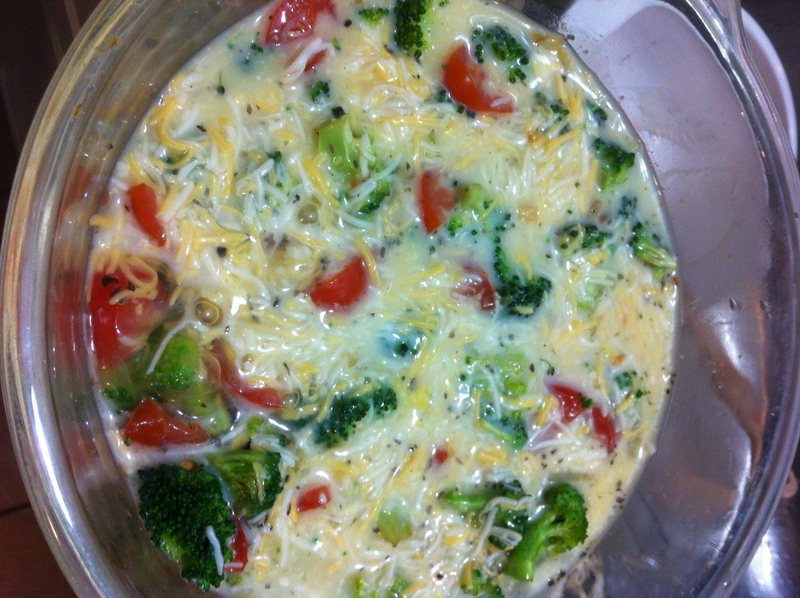 Remove from heat, add in the tomatos and place the veggie mixture to the bottom of a pie pan. 3. 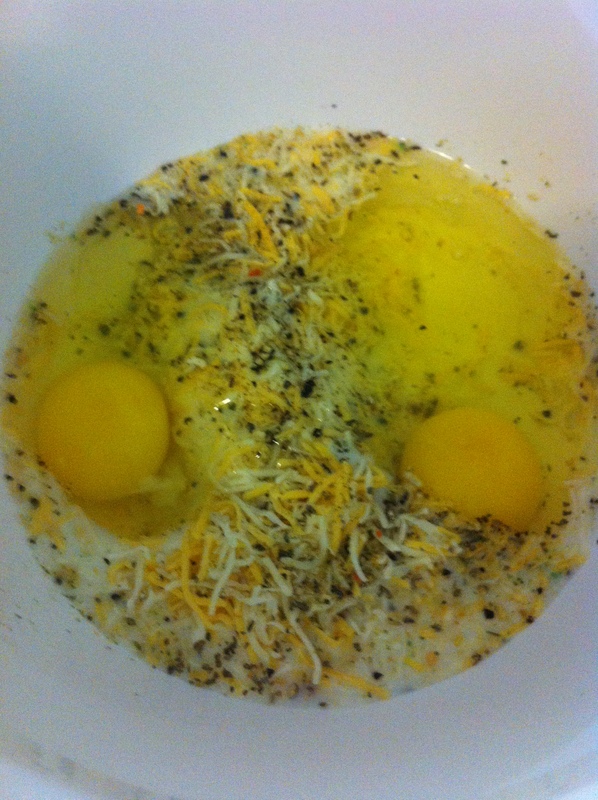 Combine the milk through eggs in a large bowl. 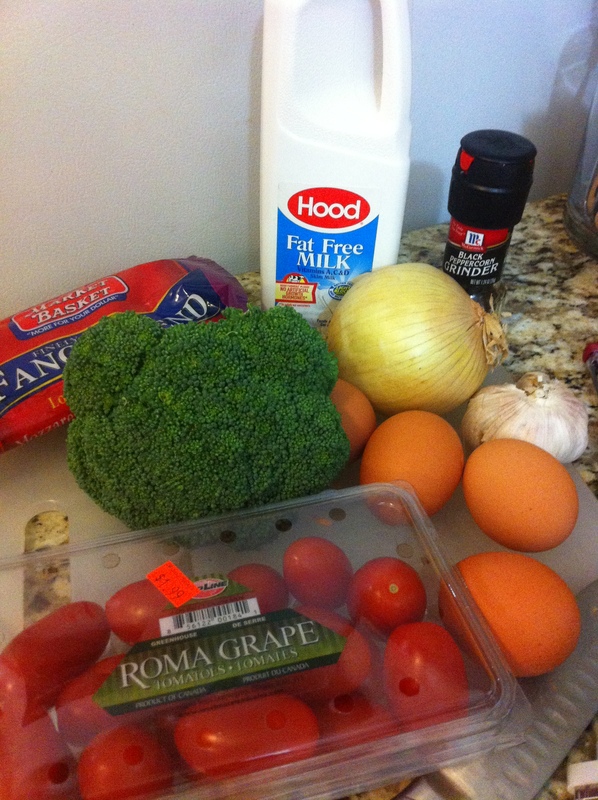 Once it’s combined, pour the mixture over the veggies. 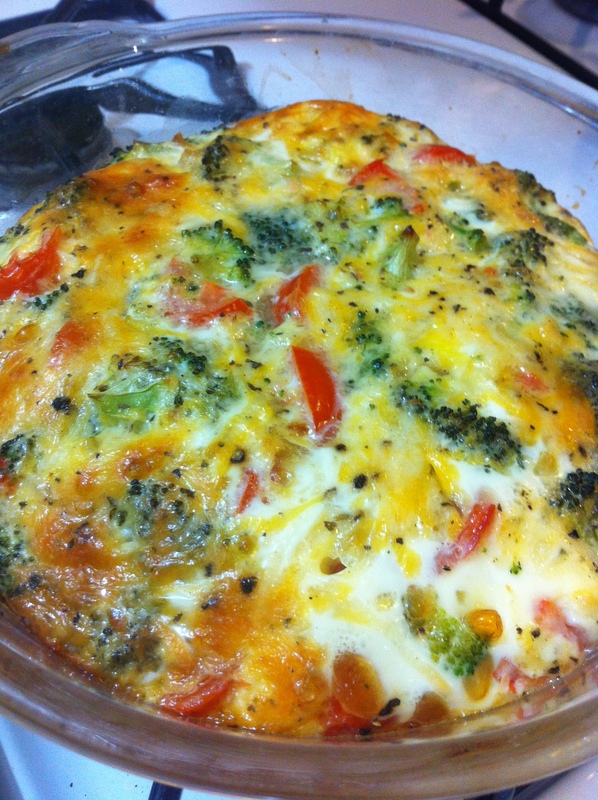 Bake for 40 minutes or until the eggs have fully cooked. 1. Bring a large pot of water to a boil. Chop the sweet potato and add to the boiling water. Cook until the sweet potato is soft. Remove from the water and let cool. 2. 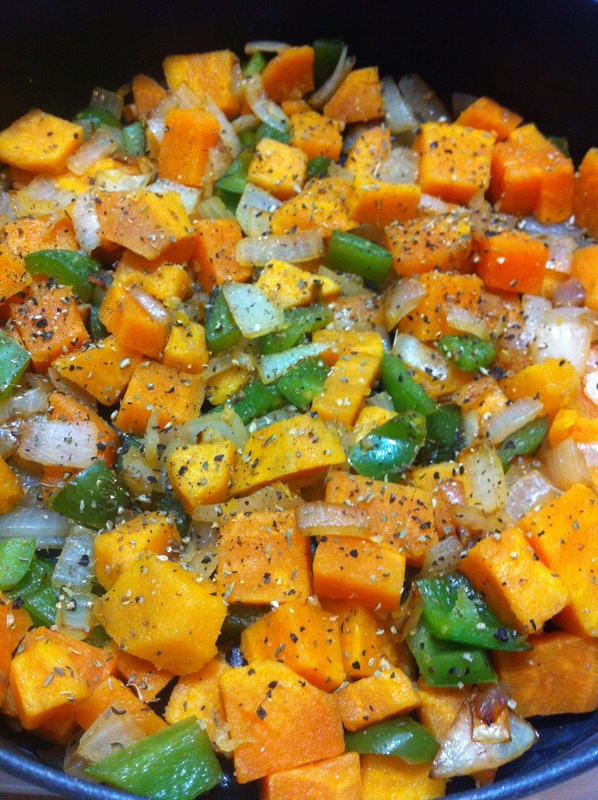 While the sweet potato is cooking, chop your onion and pepper and sauté them until fully cooked. 3. 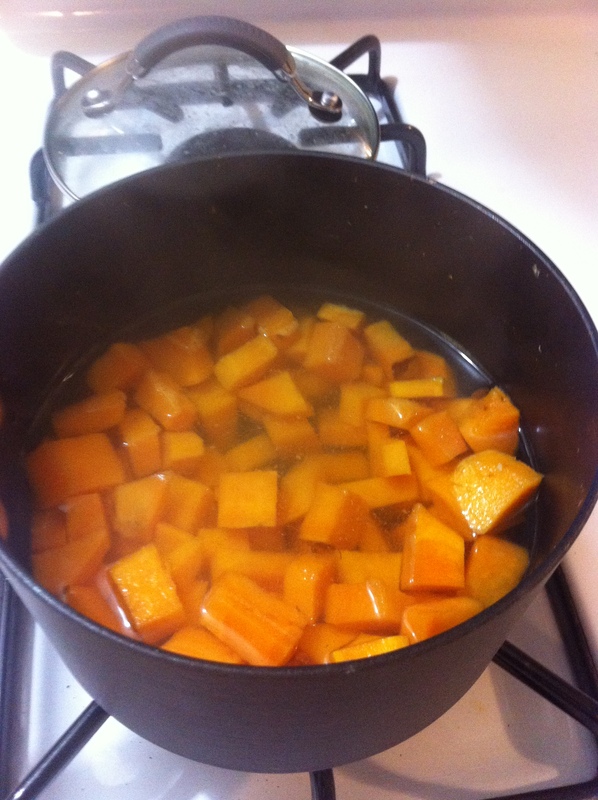 Add the sweet potato to the veggies and let everything simmer on the stove for about 20 minutes on low heat. Questions for you: Do you like quiche? Have you ever made sweet potato hash? What’s your favorite “breakfast for dinner” meal? Looks yummy. I’ll try this one! Might have to serve with a couple slices of crispy bacon or some turkey sausage to satisfy the meat lovers in my family!!! This sounds delicious–sweet potato is not a fav. here, but I will try it with regular potato and it should be the same. Thanks Jean. Yes, I think that substitution would be just fine! yes! 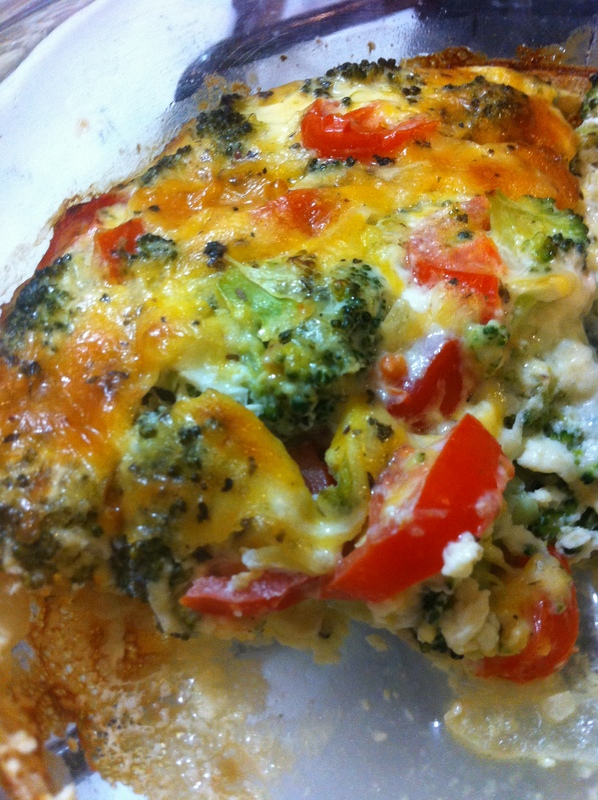 I wish I would’ve had dad’s tomatoes when I was making this:( you’d like this quiche!